It might seem like a simple question, but it’s a complex subject. When you answer the question, “Who are you?” you probably use lots of labels. But did you know that doing this actually gets in the way of who you truly are? Consider instead, that simply “being” might be your truest identity. Who is the authentic self? We are told to be authentic and to be true to ourselves. But even the authentic self-needs to be reigned in sometimes. At any given moment, it might feel natural to eat too much or to lash out at someone. Those desires come from your authentic self, and these things come naturally to us, but if we engage in them, we’re ashamed and regret it. As we can see, your authentic self is more than just primitive desires. Being authentic also requires some censorship, tweaking, breaking, and healing. 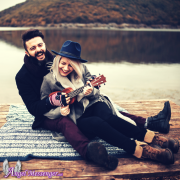 With one look at the ever-growing self-help industry, we see that people want to understand themselves and to be authentic. And they use many different tools to not only understand the self but to improve and evolve. Some tools include religion, spirituality, astrology, Meyer Briggs, the enneagram and others. 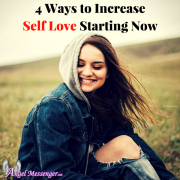 However, the downside is that when we analyze the self, we can strengthen the concept of “I”, and this can actually get in the way of being your true self. According to research, “I” is the 11th most common word spoken in American English. We use “I” all the time. It’s how we make ourselves the subject of any given scenario, and how we express our beliefs, opinions, and emotions. However, “I” isn’t just a way to refer to yourself. It’s something we carefully craft and curate, all while being influenced by social standards and expectations. In fact, it’s safe to say that everything that describes “I” is borrowed from pre-fabricated labels (teacher, doctor, friend, mother, artist, etc.). If you think about it, “I” is like a big fridge, covered in magnets. Every magnet is how you describe yourself. Where did you get those magnets? It all depends on what was available to you. But “I” is problematic. That’s because the labels covering it limit us. They may describe your personality, your career, and your relationship with others, but there’s so much more to you than that. Labels make us forget this and they make us lose ourselves, all while strengthening the ego. 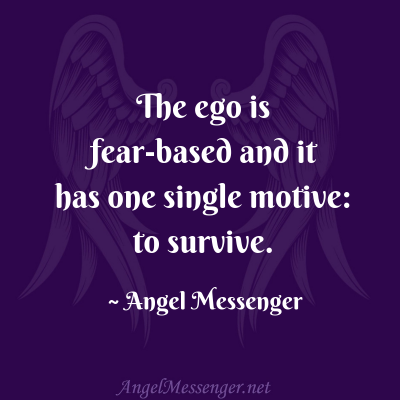 The ego is fear-based and it has one single motive: to survive. It survives by staying relevant, right and important. When you construct who you are and describe yourself (or “I”) with labels, it gives your ego lots of relevancy and importance. Subsequently, these labels give both you and your ego a sense of belonging. They situate you places where you fit in. That’s because you match with other people’s labels, either because they’re identical to yours, or because they’re similar to yours. Finding these labels and maintaining them can actually trap you in a fear-based cave, where the ego reigns supreme. Don’t believe it? Try to imagine yourself without any of the labels you’ve worked so hard to earn, obtain and maintain. Remove the degree, the certification, the title, the promotion, the sun sign, the moon sign, the award, your job description, your about-me page, your bio. What’s left? You feel naked, exposed and lacking, right? As strange as it might seem, these labels are only additions to your true self. They don’t make up the true self. So, what is the true self? 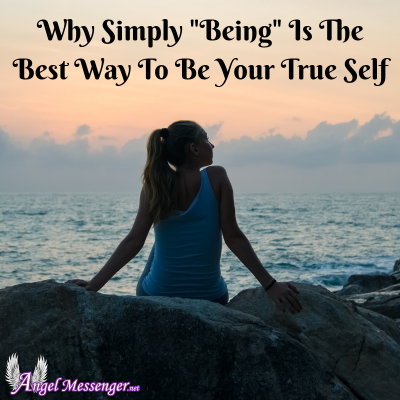 Have you considered the simple act of “being”? Being doesn’t ask you to create an identity and spend your whole life maintaining it. In fact, being asks nothing of you except to simply exist. It might feel unnerving to do that. After all, you might ask who you are without any of your hard-earned labels. Without them, you may feel empty and lacking. However, being without labels doesn’t mean you exist in an empty void. Being is freedom. The freedom to be your truest self. Why? Being is the ability to be fully conscious and to connect to a higher source – a source that is limitless and abundant. By being, you aren’t removing possibility. Instead, you create more and more of it. That’s because by freeing yourself from the construct of “I” and everything you’re supposed to be, you allow yourself to simply exist and grow and change as necessary. You don’t have to give up your labels once and for all, and you don’t have to quit your identity cold turkey. That’s not very realistic and we do live in a world where we need labels. But from time to time, see yourself free from labels. 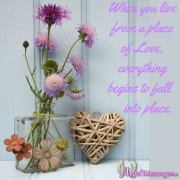 Consider seeing yourself released from the construction you typically exist in. And just see how it feels to simply be. It is here, that you might find your truest self. P.S. This article is the tenth in a new project we are working on called “Beauty“. Our team has decided that it is vitally important to help bring beauty into the world in whatever way we can and to help others to do the same. For now, we have several articles planned to publish on this topic but are of course open to where Spirit may lead us. We hope that you will follow our project and that it helps you.